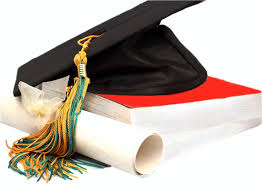 Effective management of information is, undoubtedly, determining how successfully schools and colleges are being managed. ScadCo has a suite of integrated software applications that empower educators and administrators to more effectively and efficiently meet the individual needs of students and parents, every day. Scadsys supports whole-school improvement by allowing educators, students and parents to capture, analyse and share real time assessments to recognize and respond to learning in order to enhance learning, during learning. QuiziCo was developed to provide educators with an easy accessible and flexible tool to identify strengths and weaknesses in the information-seeking skills of their students. Since most students and educators have access to a mobile device, schools and colleges are seizing the opportunity to turn these gadgets from distractions into learning tools. Scadsys, with its Class Room Management software, support this trend by giving educators online access in the class room to various Scadsys functionalities from a phone, tablet or laptop. 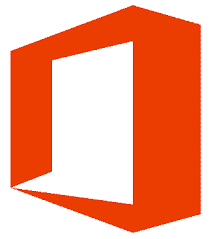 Scadsys integration with Office 365 and Azure is now available to all Scadsys Administration users and allow schools and colleges to enrol students to Office 365, by the click of a button. Educator and Timetable groups are also created easily and populated with students belonging to these groups. This information is already available in Scadsys. This new Scadsys feature allow educators to publish content for specific students, where after it is downloaded to the student's tablet and/or OneDrive. Students then use OneNote to add their own comments to lessons and eBooks, and to collaborate with other students and educators. Students publish their own work to educators for review and marking. Schools and Colleges have large volumes of content and education material that needs to be managed and controlled to have a single version of the truth. Content is any form of digital media, i.e. documents, spreadsheets, drawings, images, sound, videos, reports, discussions, blogs, email, instant messaging, fax, eBooks, invoices, course material, etc. To manage content Scadsys implements a 7 stage content life cycle. These stages ensure that content is properly captured, classified, stored, managed, protected, distributed and disposed. Cloud computing is the delivery of computing and storage capacity as a service to a community of end-recipients. 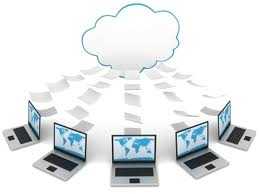 Cloud computing entrusts services with a user's data, software and computation over a network. Scadsys cloud computing allows schools and colleges to get their applications up and running much faster, with improved manageability and almost no maintenance. All Scadsys systems are cloud and on-premise friendly. Scadsys provides a complete fundraising, donor and alumni management solution to help institutions reduce the workload and build relationships with constituents. Scadsys support campaigns, grants, special events, volunteers, telethons, memberships, planned giving and direct mail constitutions. Today, just about everyone has a Facebook profile. In fact, many educators have begun using it as a way to connect with students, spark discussion and relay important assignment information. Scadsys is building interfaces to Facebook and Twitter to relay and consolidate information flows by the click of a button. Managing seating in a class room is a tactical strategy to ensure good learning while student behaviour is the biggest barrier to good teaching and learning. Educators can easily award detentions which can easily be tracked and administered.